The WISMEC REUX Mini subohm atomizer features with max. 2ml capacity, 0.2ohm sub-ohm triple heads, top filling system and adjustable hidden bottom airflow control. 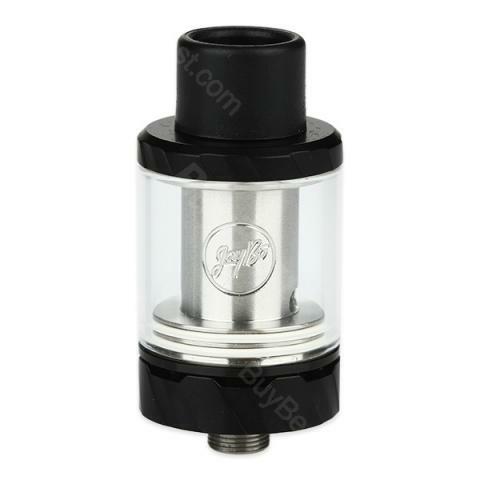 This tank is the ideal match for a wide range of 510 box mods and great for daily use. The WISMEC REUX Mini subohm atomizer is the compact version of the acclaimed WISMEC REUX atomizer. It features with maximum 2ml capacity, 22mm in diameter, 0.2ohm sub-ohm triple heads, top filling system and adjustable hidden bottom airflow control. All parts are easy cleaning and maintenance as the detachable structure. Designed by JayBo, made of stainless steel and pyrex glass, this Wismec Reux Mini tank is the ideal match for a wide range of box mods with 510 thread connection. It is best match with Wismec RXmini 80W MOD that is popular in the market. Reux Mini atomizer utilizes the 0.2ohm 100% pure organic cotton triple coil, which is also compatible with Amor Mini, Amor Plus, Vicino, Vicino D30, Reux Mini, Elabo, Elabo Mini, Elabo SW, Divider Atomizer. REUX Mini is a great sub-ohm tank for vaping daily use. WISMEC Reux Mini hat ein tolles Handling und sehr gut für unterwegs geeignet. Würde ich auf jeden Fall weiterempfehlen. Verschiedene Geschmacksrichtungen sind sehr sinnvoll. WISMEC Reux Mini Atomizer 's strong power has a quite well cruising ability. Easy of operation. I quite adore it.